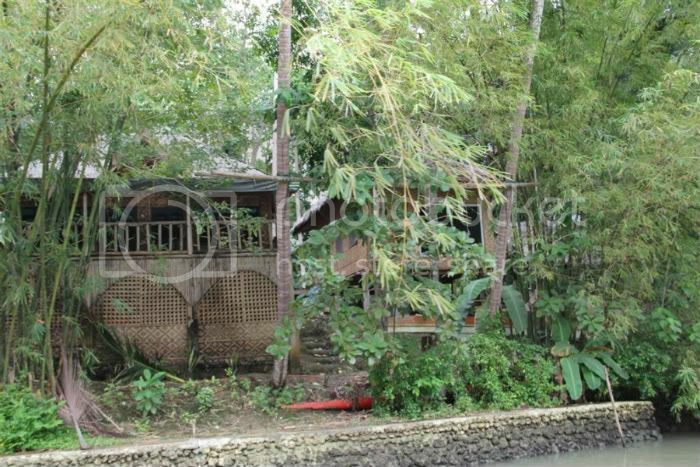 A nipa house on the bank of the river. There were many such houses. That's either a decrepit boat or a very large red chili on the bank of the river ! 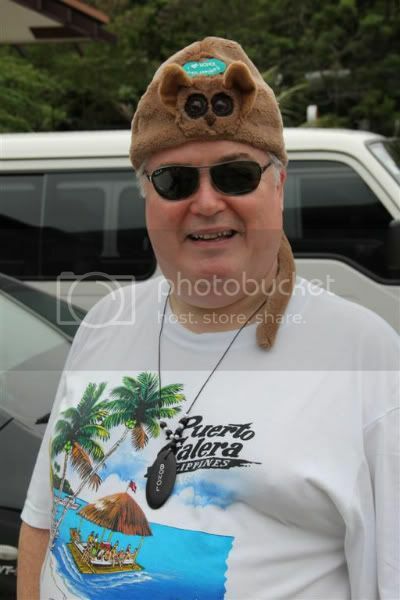 Me in my new Tarsier cap ! we visited the tarsier reserve on Bohol and I couldn't resist the hat ! No tarsiers were harmed in the making of this hat ! 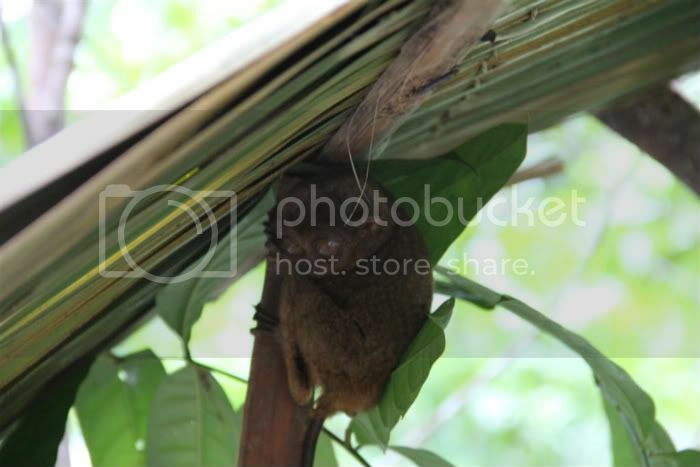 A shy little tarsier, smallest of the bush-baby family putting up with us tourists ! Hazel borrowed my new tarsier hat for this photo. 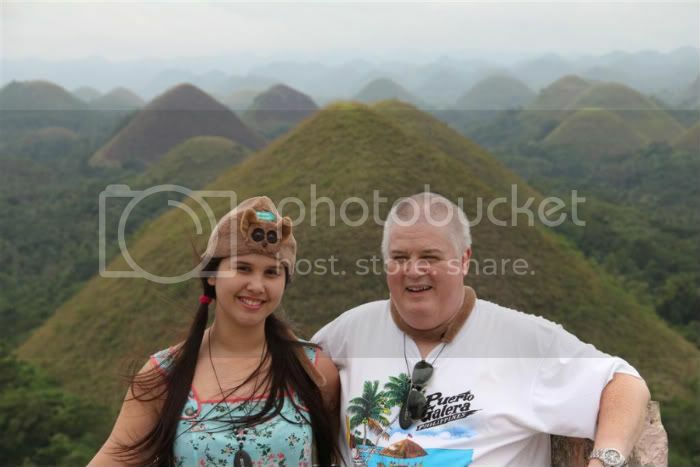 We're standing in front of about 20 or so of the 1,700 Chocolate Hills near Carmen, Bohol. 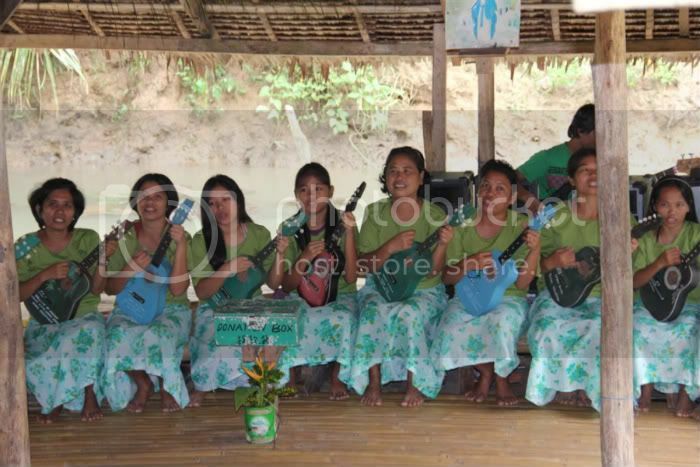 In the dry season, the green cover disappears and the hills look like large mounds of chocolate. Its nice to see something different Lachlan.Some excellent locations,the people and buildings. If there any spare room in your suitcase for two on your next trip let us know . Weather here ,well I think we had what summer we were going to get,yesterday and again today gales,heavy rain showers and winter may have come early. Love the pics Lachlan, make that an even larger suitcase!